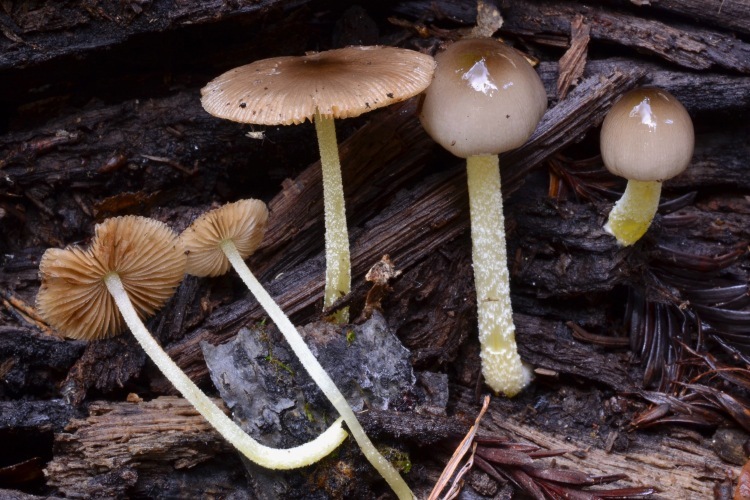 Bolbitius are united by their small, fragile fruitbodies, viscid and striate caps, and scurfy-decorated stipes. 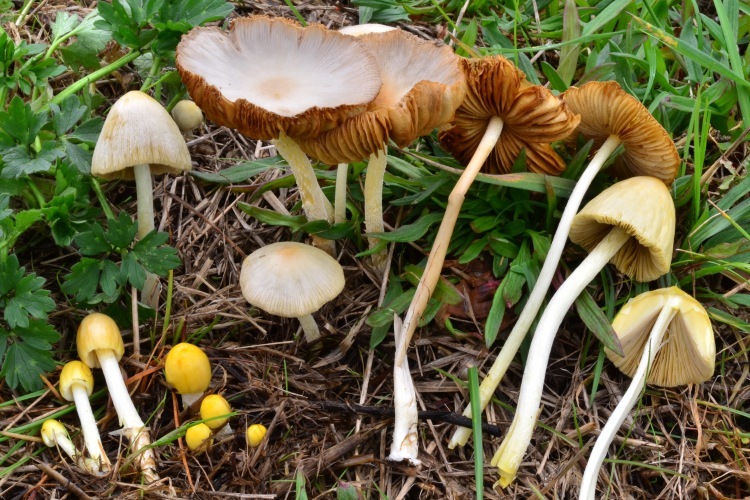 Decomposers, although the two local species occupy very different habitats (grass vs very rotted wood). Fruitbodies can be amazingly ephemeral, appearing and wilting away on grass lawns in less than a day. 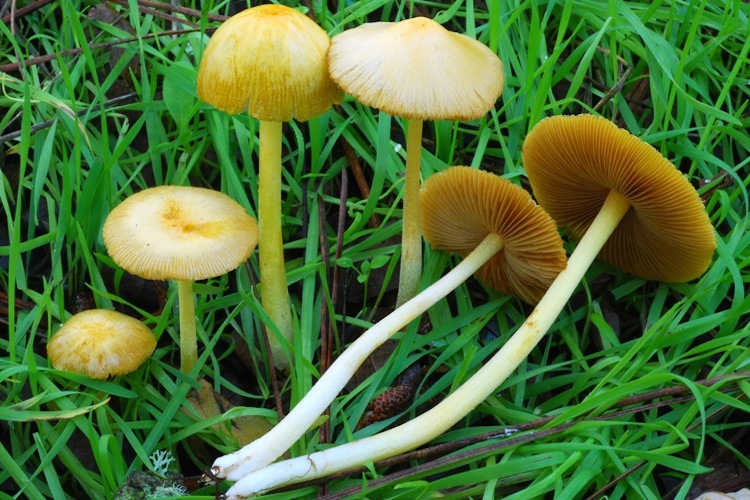 Important identification characters: identification of two local species fairly straightforward, but ochre spore deposit and cellular cap surface structure with a viscid layer can help identify the genus in uncertain cases; B. aleuriatus is sometimes confused with Pluteus and other wood-dwelling genera.